Whether you’re religious, spiritual, or completely the opposite, it doesn’t matter. This story is nothing short of beautiful. Three years ago, Marie Robinson tragically lost her four-year-old son, Jack, to brain cancer. Just like any grieving parent, the death of Marie’s child has been a cause of unbearable hurt every day since his untimely passing. 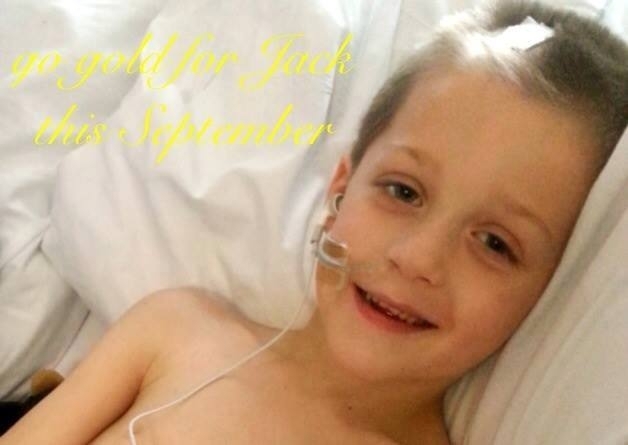 However on the third anniversary of Jack’s death, Marie decided to head down to the cemetary to spend some time by her son’s graveside in Waterlooville, England. Then – something happened which has convinced Marie her son’s spirit lives on – and it is utterly mind-blowing. 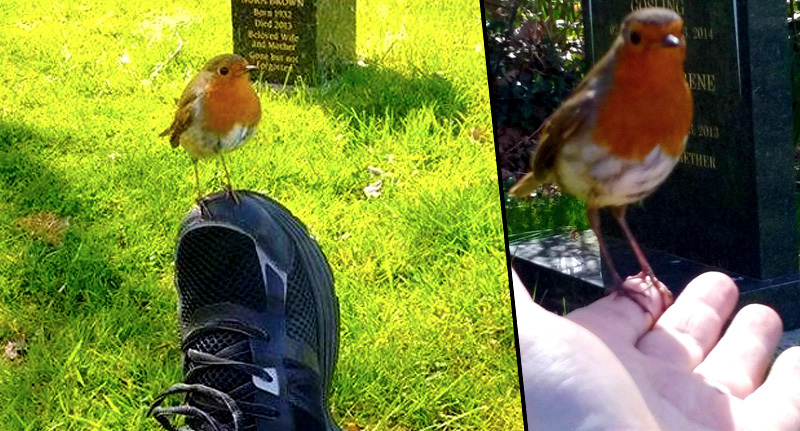 While she was sat on the grassy verge by the grave, a tiny robin appeared and began flying in circles around her, occassionally resting on top of the nearby graves. But there’s more to it than that. The robin also landed on Marie’s foot before taking off again and taking perch on her fingertip. Marie even managed to capture the encounter in a video which has since been viewed over 13 million times. She added that the experience ‘brought me to tears’ and that she took it as a direct ‘sign from Jack’. Would like to say if my little robin footage can help raise awareness of childhood brain tumours, cancers, the grief of losing a child then it’s a positive thing. I have read loads and loads of heartfelt messeges from loads of people and have tried to reply to as many as I can and I apologise if it seems I haven’t replied. I have been very touched with reading people’s stories from people losing a child and adults and not to just cancer. It is unbelievable how much a robin symbolizes in a lot of people’s messages. To many the robin symbolizes new growth and renewal in life. As I said at the beginning – regardless of whether you believe there is more to life after death or not – Marie’s encounter with the robin by her son’s grave is quite stunning and has certainly made the grieving process a lot easier.